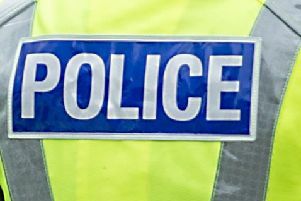 A man swore at and physically assaulted a fellow train passenger on a late night service through Falkirk. The unprovoked attack took place on board a train between Glasgow Queen Street and Croy at around midnight between Saturday, February 24 and Sunday, February 25 before the suspect eventually got off at Haymarket station. It began when the man who was assaulted had tried to calm the suspect down following an altercation with another passenger. Angered by the interference, the suspect then swore at and assaulted his victim before attempting to strangle him. Fortunately, the victim was able to get away from the attacker, who then made further physical threats before departing the train. The suspect is described as an unshaven man in his 50s, around 5ft10 and having a medium build. He had short white hair and wore a dark black or navy woolly hat, with a white emblem on the front, a beige overcoat, jeans and brown shoes. Any witnesses to this incident are asked to call BTP on 0800 40 50 40 or text 61016, quoting reference 381 of April 13.